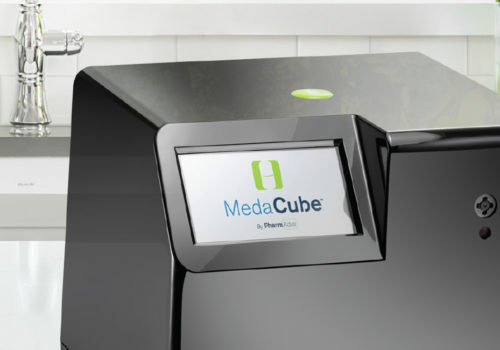 CHEVRON MARINE PRODUCTS provides lubricants, coolants and greases at over 700 ports around the world, as well as laboratory services and online ordering of marine fuel. 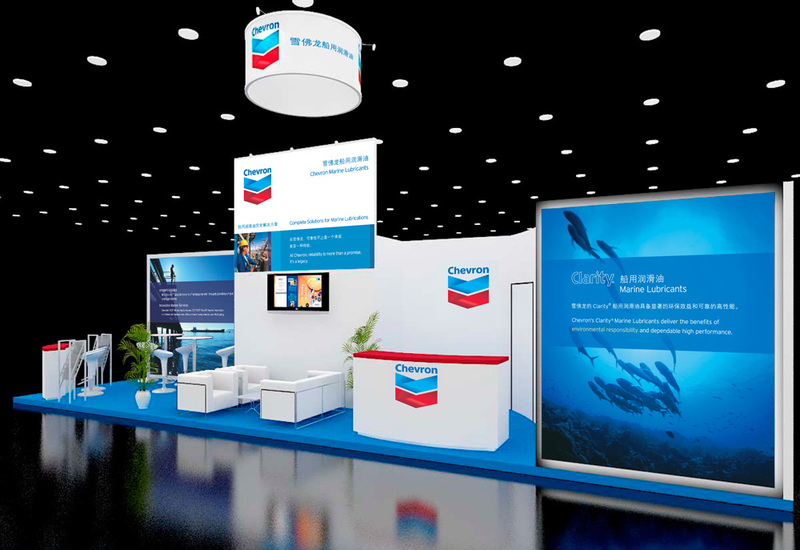 Design a series of large tradeshow graphics for use in major international conventions, including supporting print and electronic collateral. 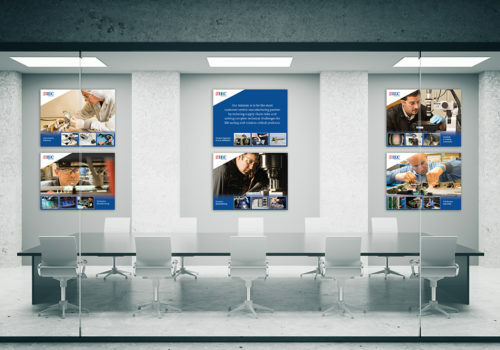 Create booth panels, free-standing banners and large-format posters. 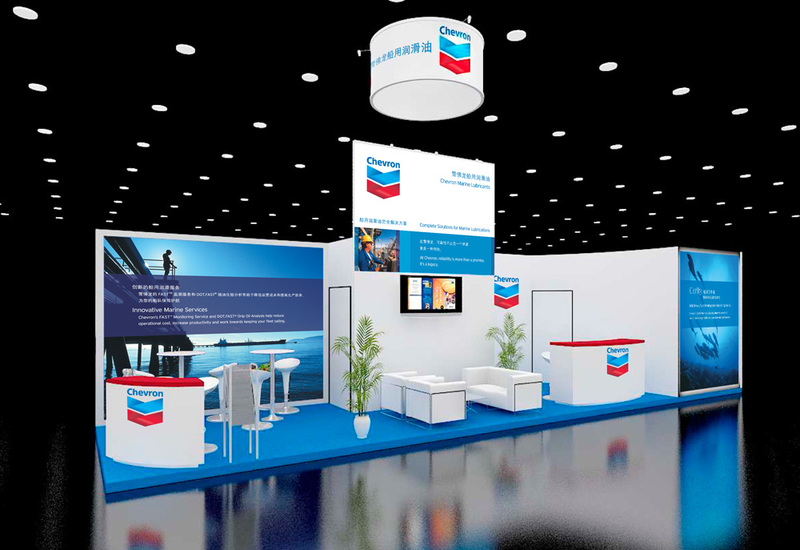 Design graphics for 30′ x 30′ booth in Chinese and English as well as brochures, banners and promotional items for use at a tradeshow in Shanghai, China. 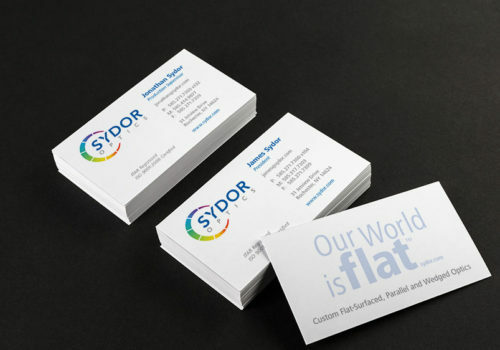 Design graphics for 40′ x 15′ booth as well as web, email and print collateral for use at a tradeshow in Hamburg, Germany. 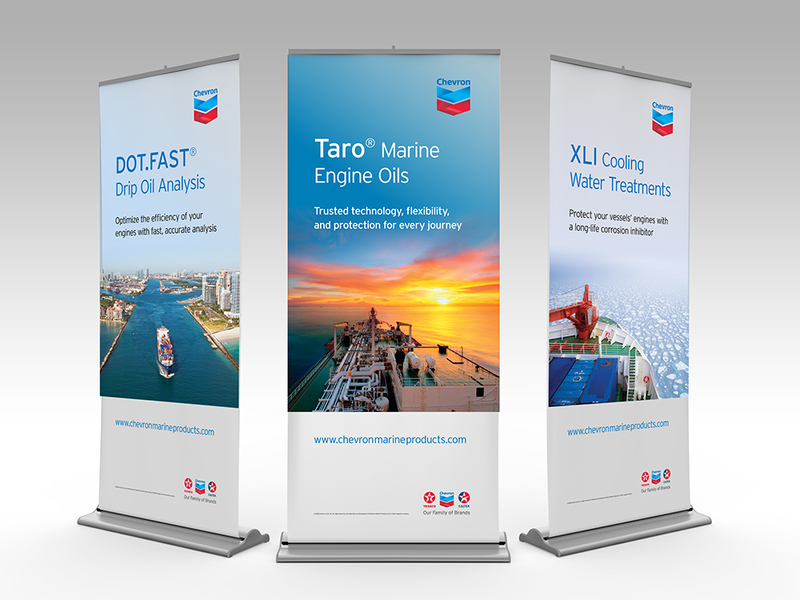 Create a series of nine portable roll-up standing banners for various products and services which can be produced in North America, Europe and Asia, then easily transported for use at different sites. 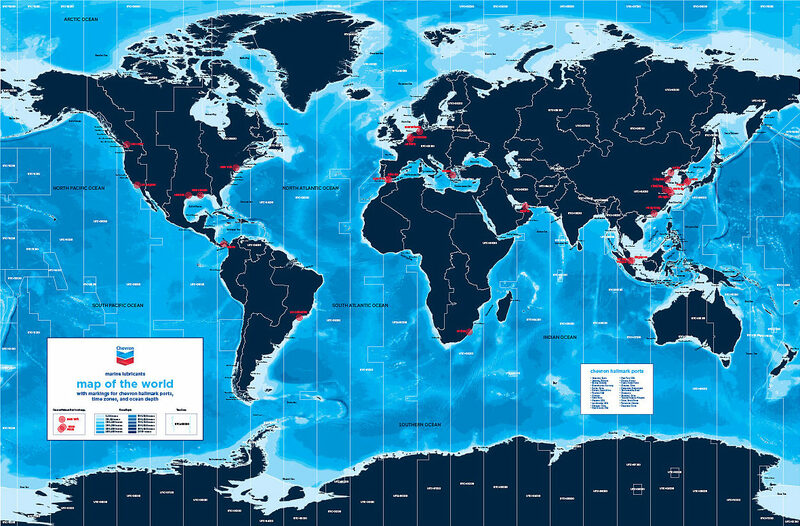 Design a large poster to be used as a promotional gift for international maritime customers — a world map with Chevron Hallmark Ports indicated as well as ocean depth and time zones.